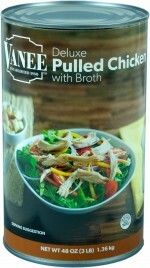 Drain and shred DELUXE PULLED CHICKEN and place in warmer. Heat to serving temperature. 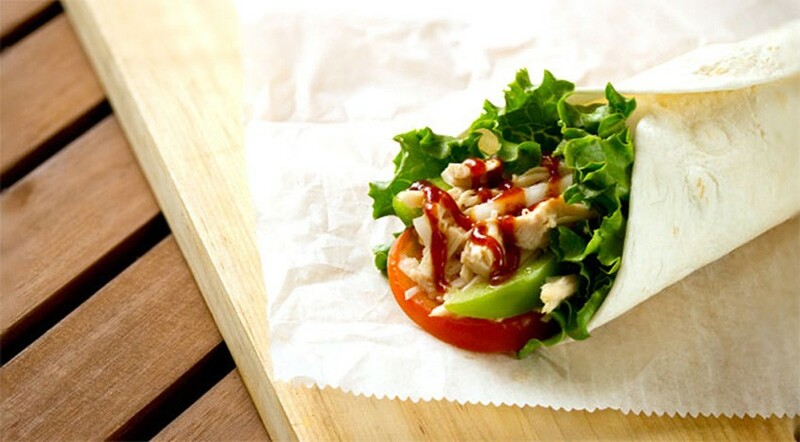 Lay one flour tortilla flat and layer on one large lettuce leaf, one tomato slice, green pepper slices and two ounces of DELUXE PULLED CHICKEN. Drizzle on one ounce of SWEET 'N SAVORY SAUCE and fold.